New Delhi, Feb 12 (IANS) Reiterating the National People's Party's stand on the Citizenship (Amendment) Bill, Meghalaya Chief Minister Conrad Sangma on Tuesday said the NPP will severe ties with the National Democratic Alliance (NDA), if the government tabled the Bill in the Rajya Sabha. "We have to reconsider our ties with the NDA, if the Bill is passed in the Rajya Sabha. We are still hopeful and are talking to various parties that this kind of situation should not happen," Sangma told journalists after a meeting with the North East Students' Organisation (NESO) delegation. "We are getting support from different corners and are hopeful that will be able to stop the Bill from being passed in the Rajya Sabha," Sangma said. 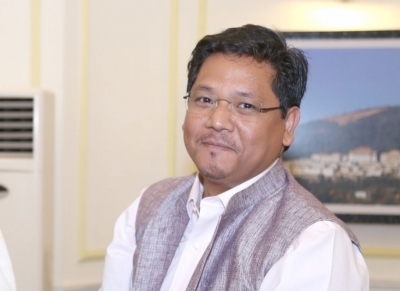 Sangma said: "They (the BJP) also understand our sentiments... We have been clear and have decided that if such situation arises, we will take a political decision at an appropriate time." "There is no politics in this. We all are here as residents of north-east. We have come together because it is an issue that affects us. I am hopeful that political parties across the country will realise that this is not an issue of just the northeast but of the whole country," he said. Meanwhile, NESO Chairman Samuel Jyrwa has appealed to political parties to stall the Bill from being passed. "We have met several leaders from different political parties and requested them not to vote for the Bill as it goes against the indigenous people's interest in the northeastern states and India as a whole," Jyrwa told IANS.